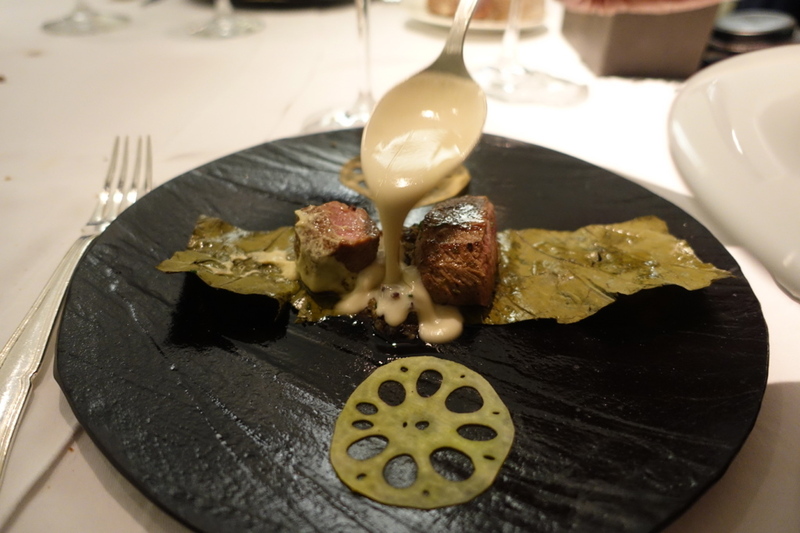 Arzak – 3 Michelin Star Heaven? A star studded meal literally! 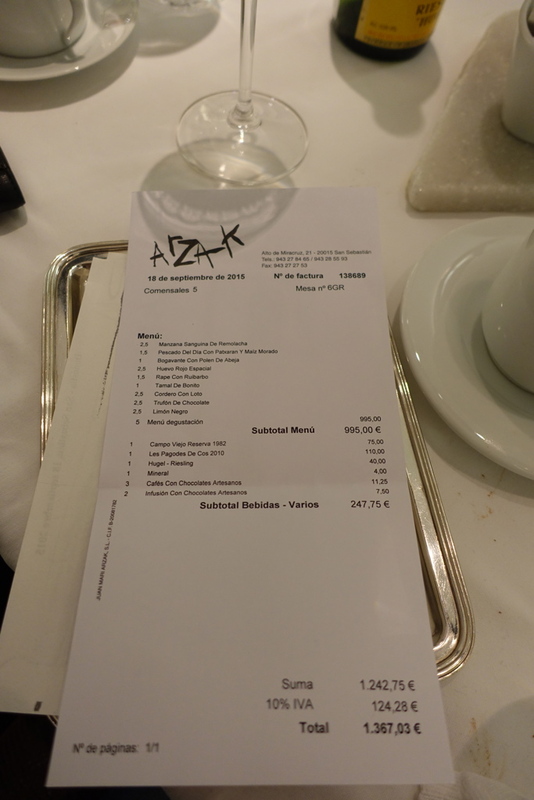 Arzak holds high regard for many as a San Sebastián institution of modern Basque cookery. 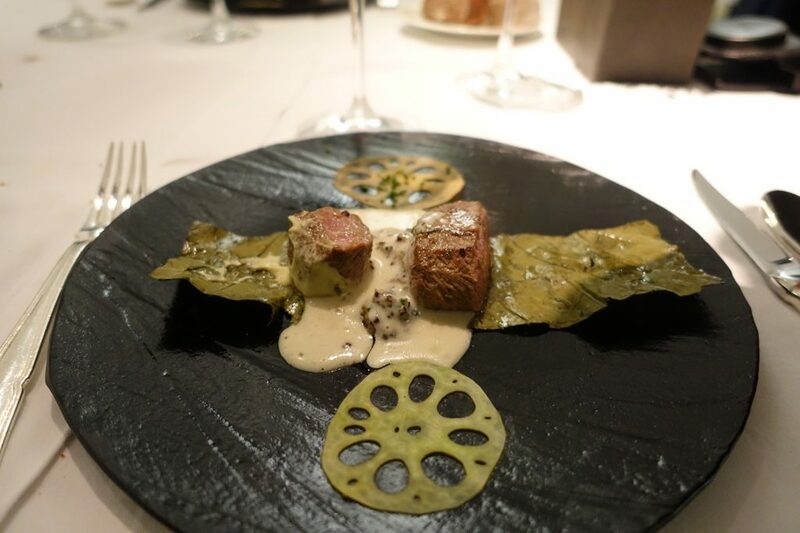 It was a humble tavern in 1897 under Escolástica Lete – the grandmother of Chef owner Juan Mari Artzak, currently aged 74 who has won and kept 3 Michelin stars since 1989. 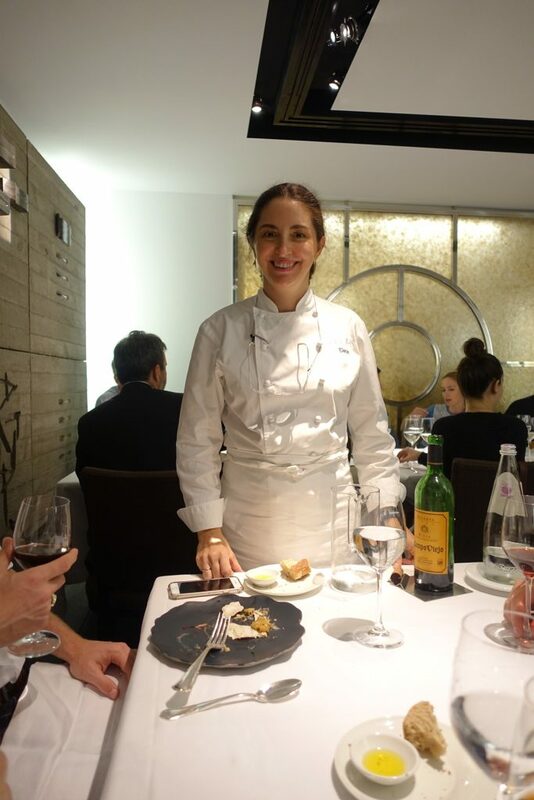 Juan and his daughter Elena (voted the world’s greatest female chef last year), run the multi roomed restaurant, that comes with a formal feel and a 100,000 bottle cellar! 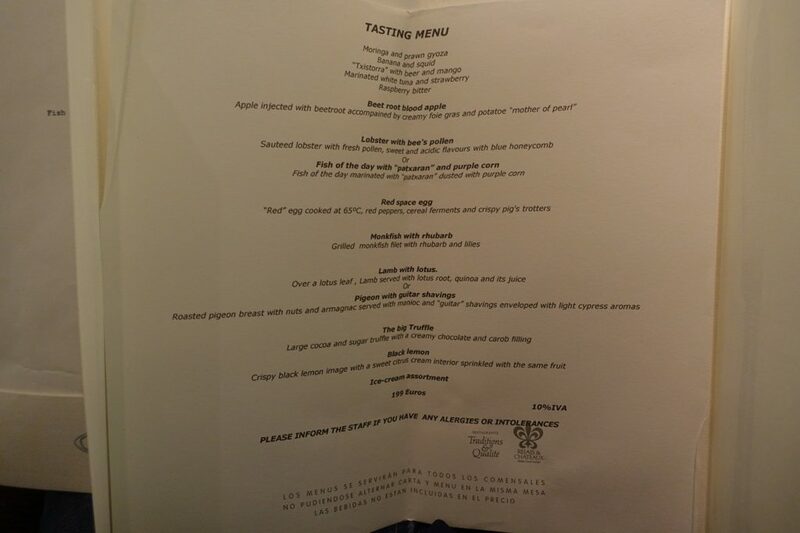 We all opted for the tasting menu. 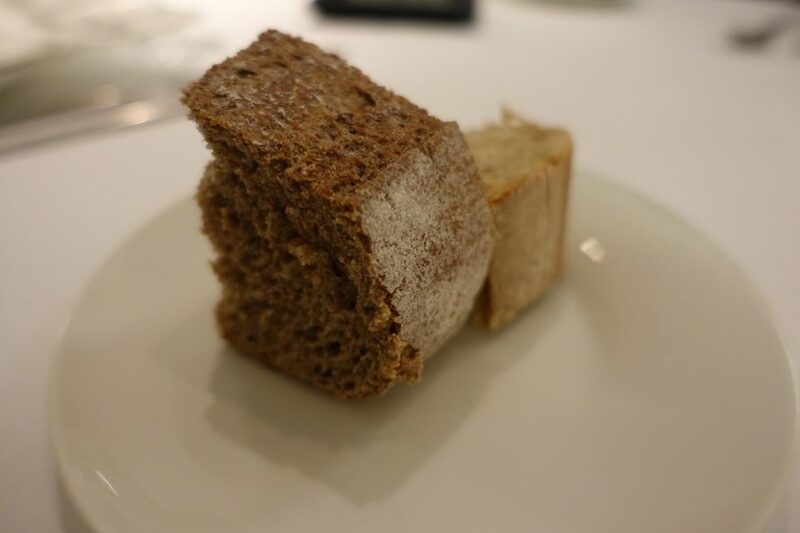 The bread wasn’t anything to sing home about as it tasted a wee bit stale. 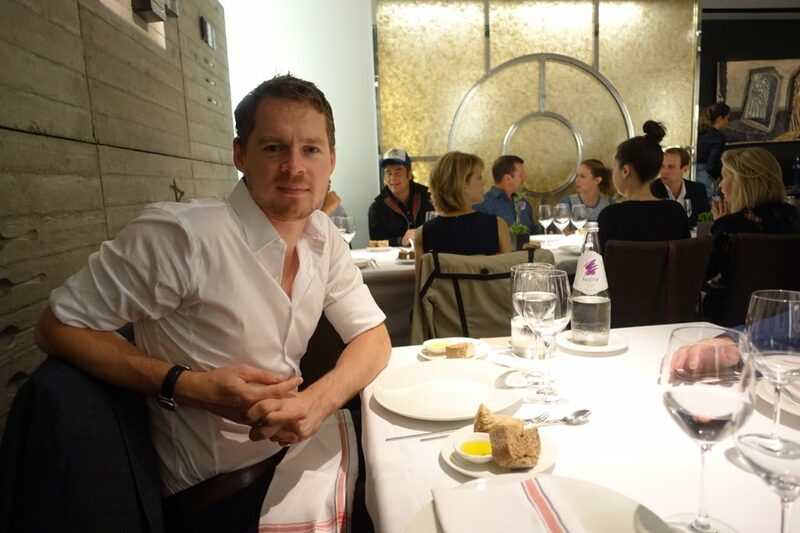 It wasn’t just Michelin stars at this meal, as Benecio Del Torro was present along with a host of other famous folk on his table. We came during the film festival, obviously! 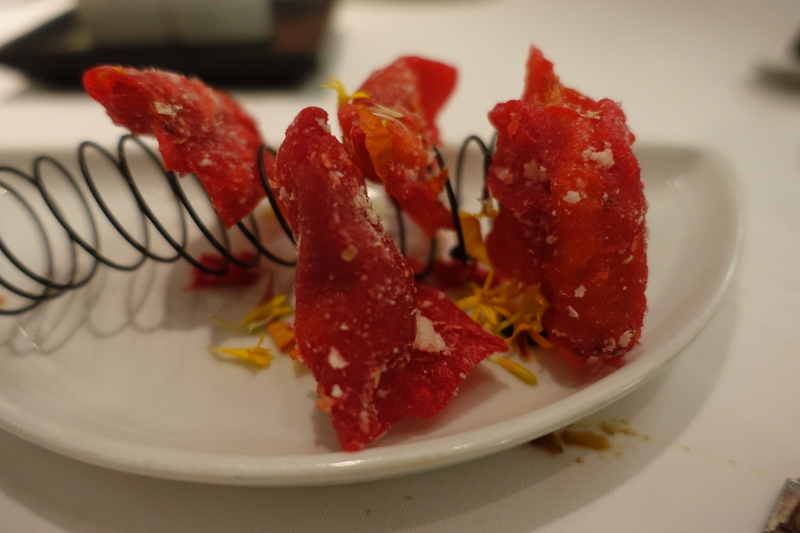 The prawn gyoza’s deserved full praise as all I wanted to do is snack on a big bag of them. 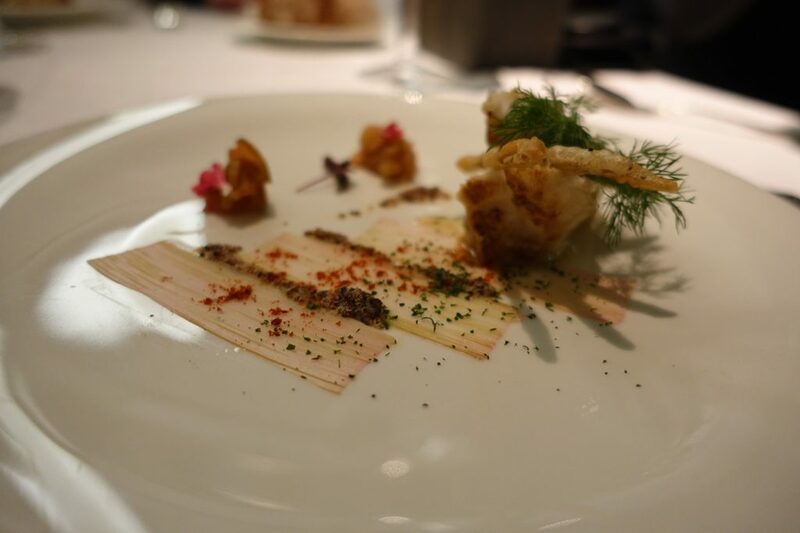 Banana and squid – diced marinated squid on a banana crisp was less impressive though. “Txistorra” with beer & mango. 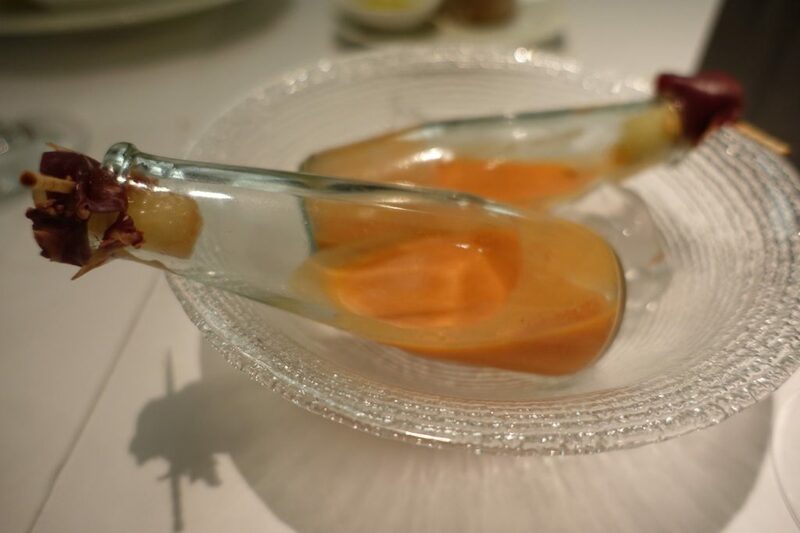 “Txistorra” is a Basque sausage and here it’s cooked with mango, garlic and paprika which is served on the base of a crushed beer can. 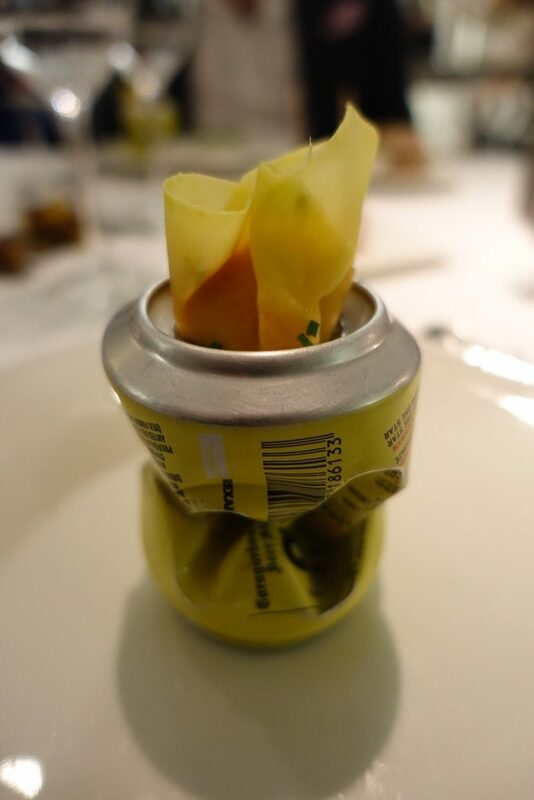 When you’re in a 3 Michelin Star restaurant anything goes including crushed beer cans for plates! It was more hipster style over substance for me though. 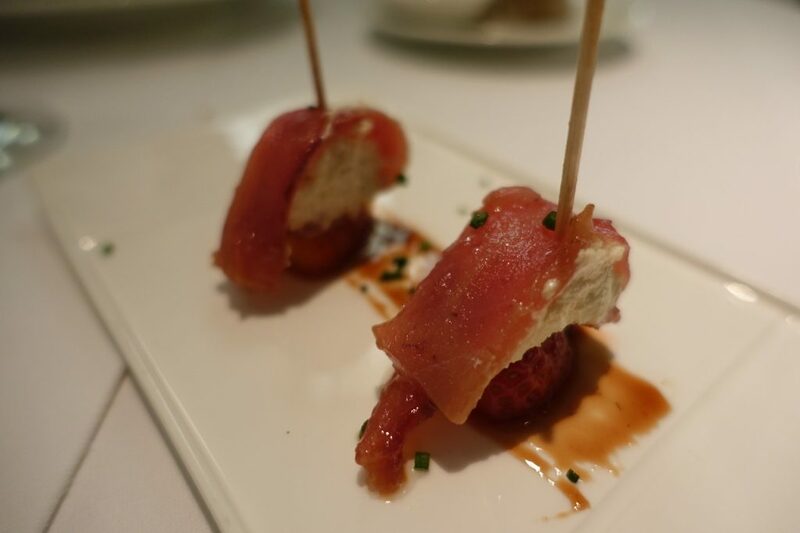 Marinated white tuna and strawberry – so basically a cream cheese, tuna and strawberry pintxos with some vinegar. Raspberry bitter – kinda pointless! Some of the posh juice we went for. 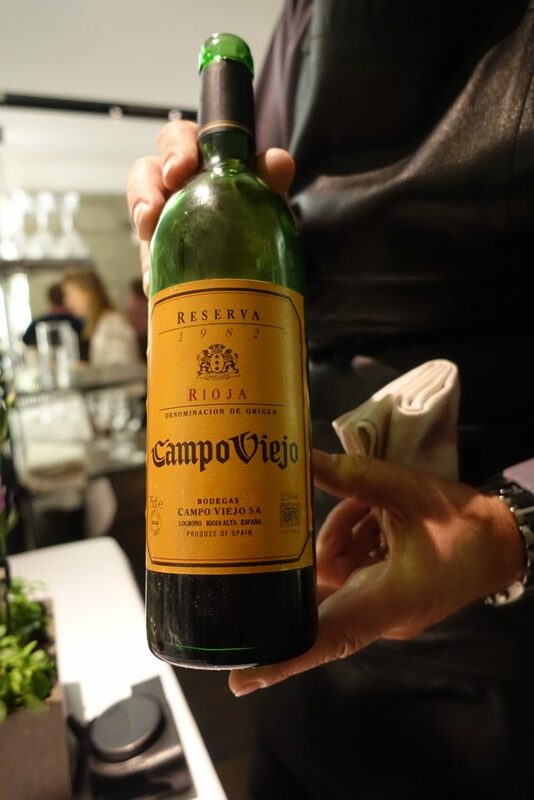 The 1982 was so aged it had to be filtered. 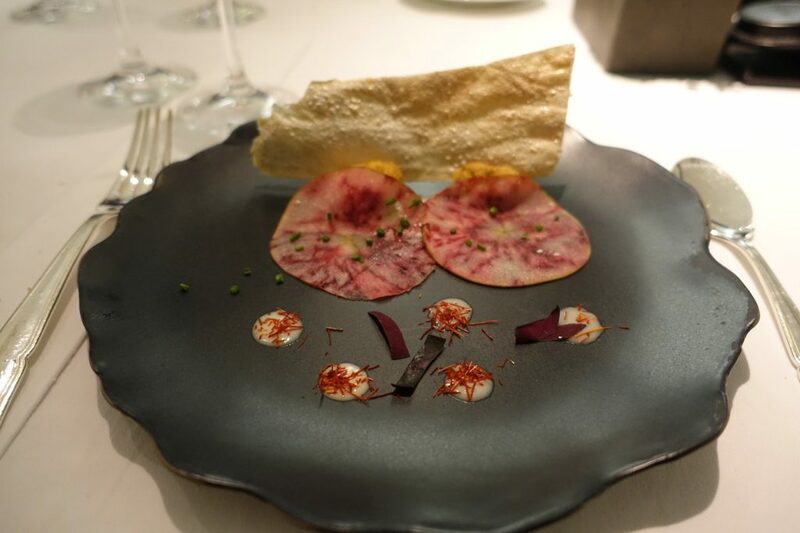 Beetroot blood apple – apple injected with beetroot, accompanied by creamy foie gras and potato “Mother of Pearl”. On paper it’s a clever dish and you can see the effect of the beetroot on the apple. 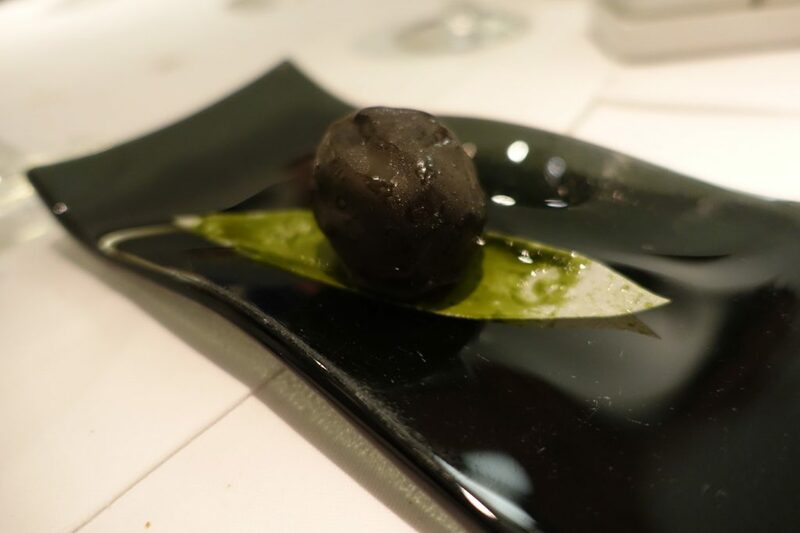 There are also spheres of potato and foie hidden behind – however, I expected the apple to be juicy and fresh but it seemed dry, I believe the heat from the plate sucked the moisture out of them. 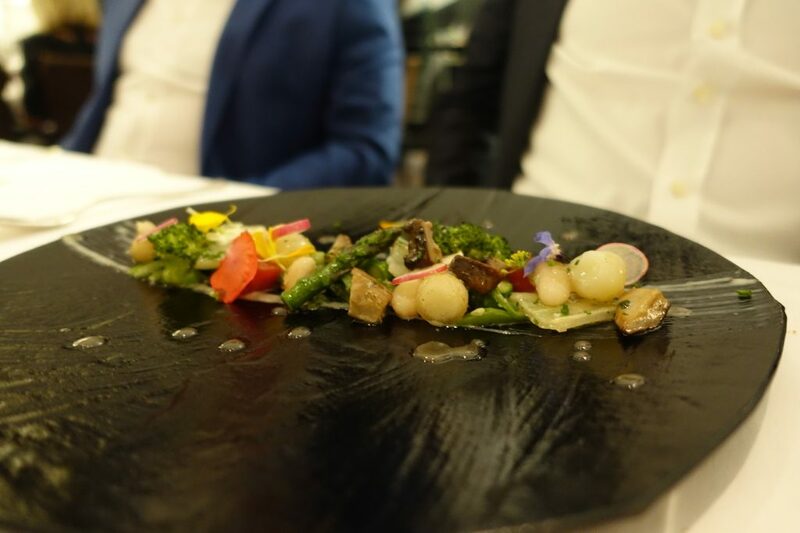 A melange of vegetables was served to a fellow diner who’s not a foie fan. 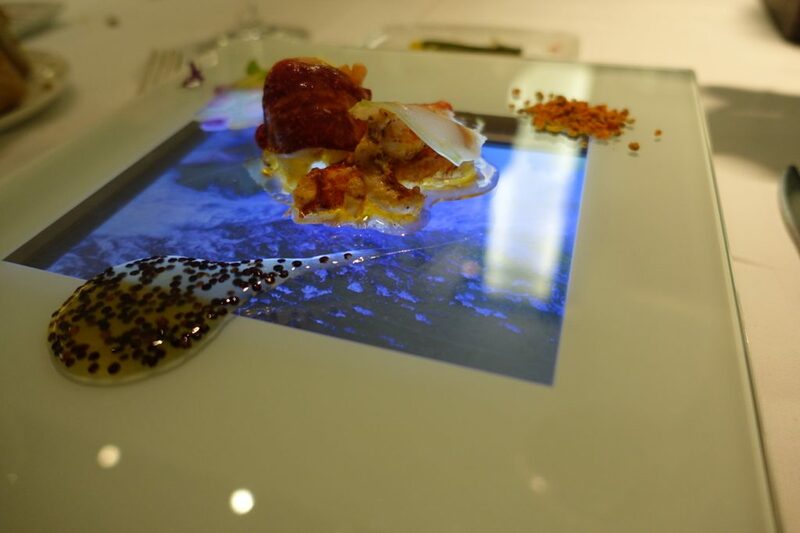 Lobster with bee’s pollen – sautéed in fresh pollen, sweet and acidic flavours and blue honeycomb. 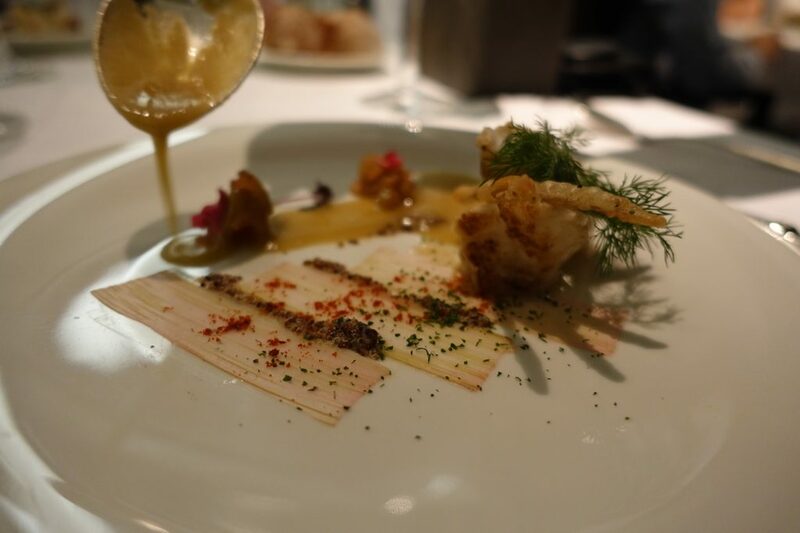 I’ve never had lobster like this before which made it intriguing. 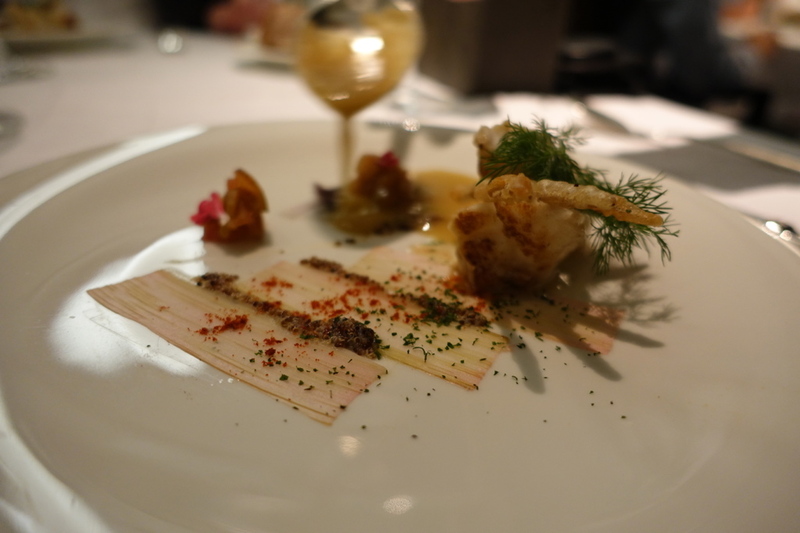 The floral notes of the pollen definitely brought out the sweetness of the lobster but the screen didn’t add to the experience in my humble opinion. 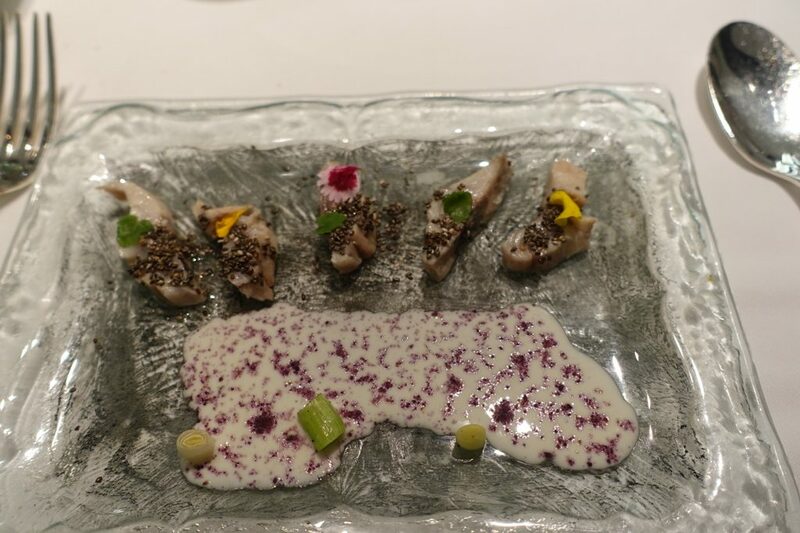 Fish of the day with “patxaran” and purple corn – the fish was marinated with “patxaran” and was dusted with purple corn. Patxaran is a sloe flavoured liquor in case you’re wondering. 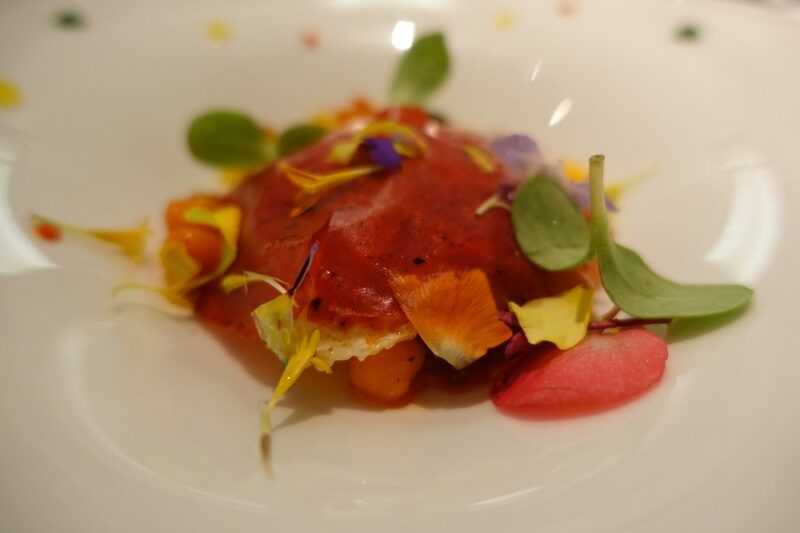 Red space egg – “Red” egg cooked at 65 degrees, red peppers, cereal ferments and crispy pig trotters. 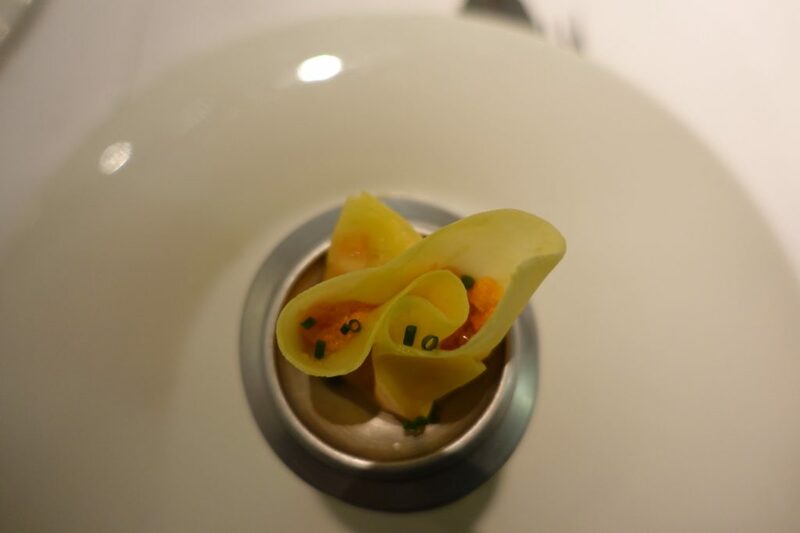 I found this dish a delight to look at and delectable to eat. It’s very clever how they made a red pepper skin to conceal a runny golden egg within. 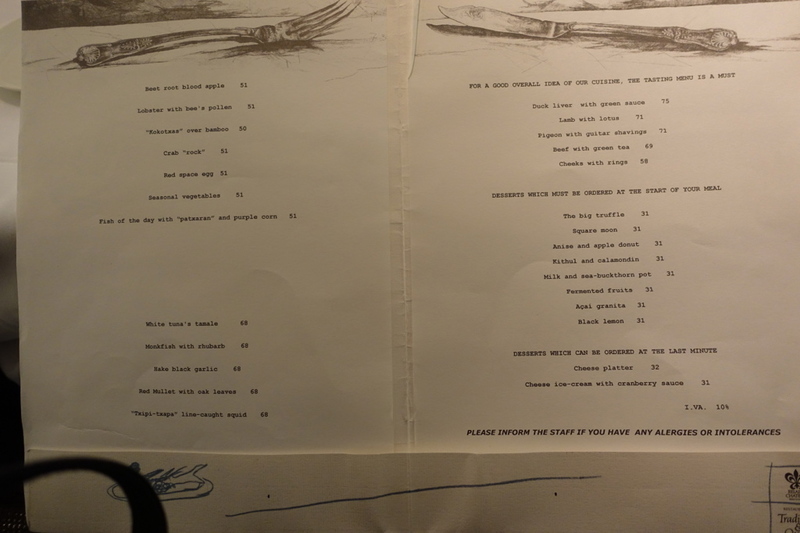 The pigs trotters weren’t t be seen though even when I went searching for them. 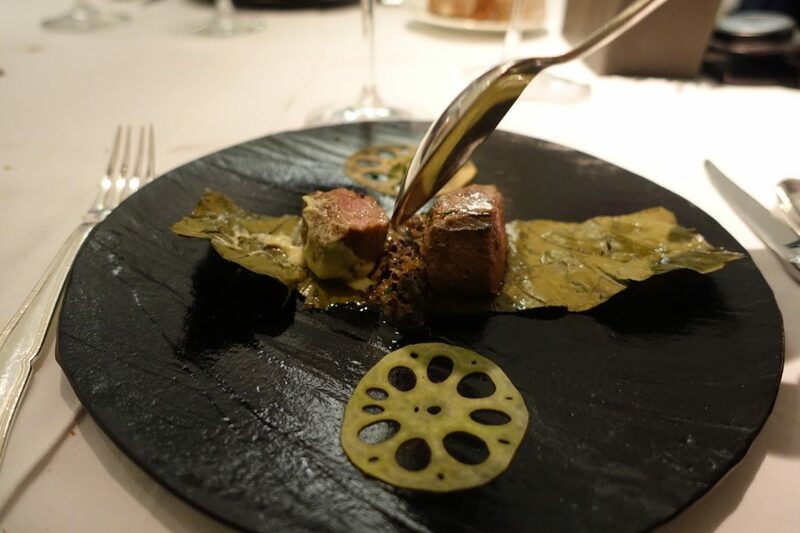 But wow what a great looking dish. 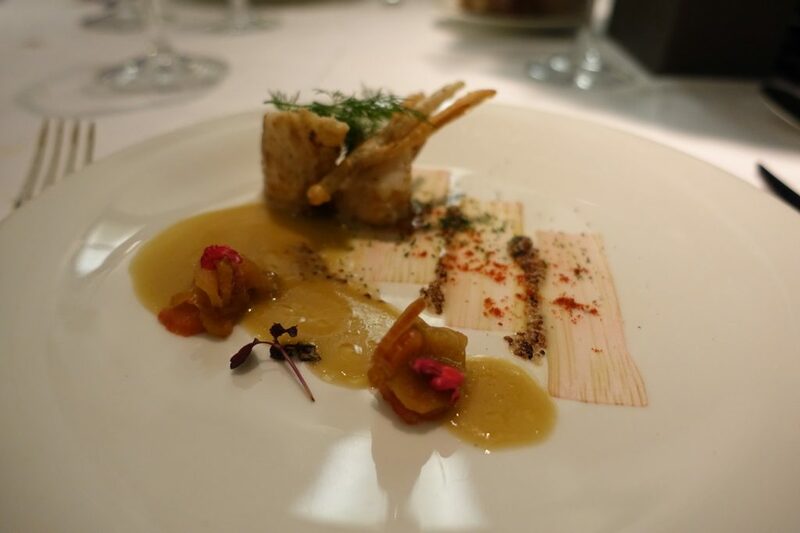 Monkfish with rhubarb – grilled monkfish fillet with rhubarb and lilies. 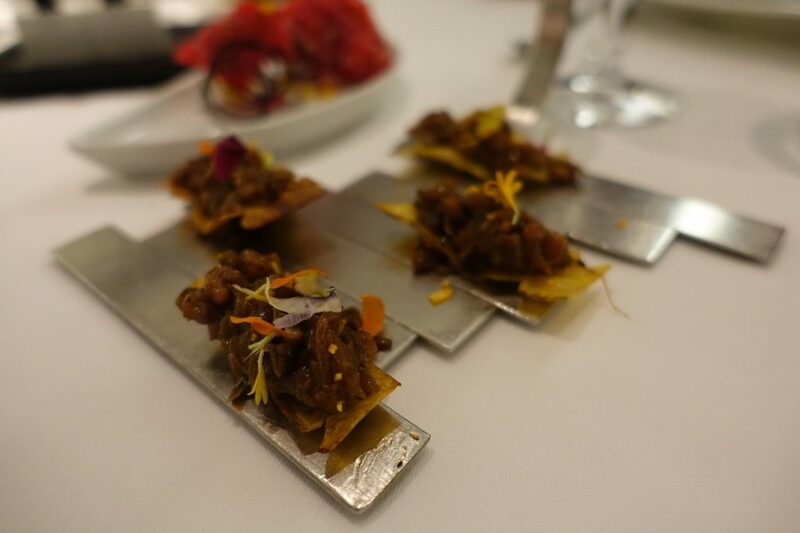 The rhubarb slices were put simply a challenge to scrap off the plate and weren’t that pleasant to eat – I think I left two of the stuck to the plate. 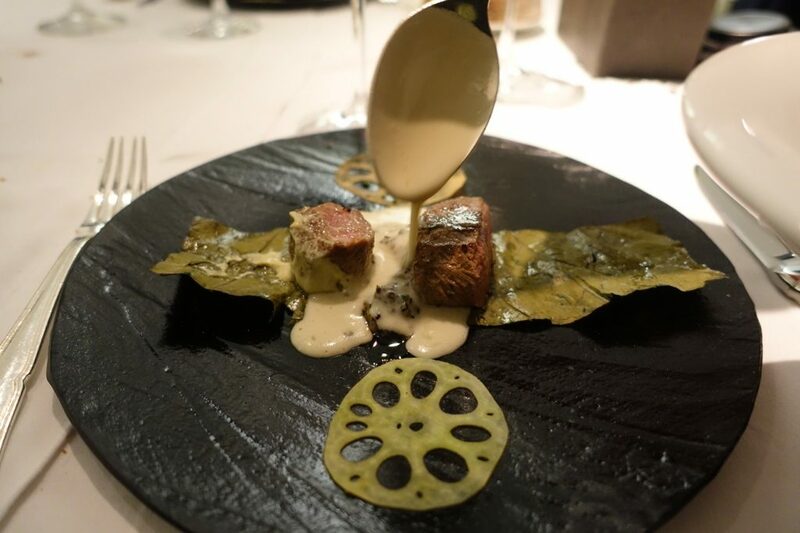 The monk fish was a tiny little morsel garnished with lily flowers and green pepper sauce which was pleasant enough but for me it didn’t work and ended up ‘uninspiring’ to eat. 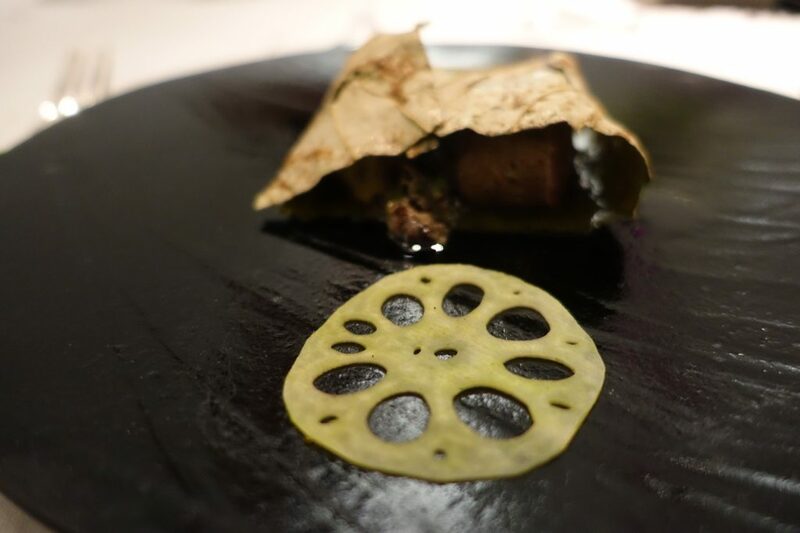 Lamb with lotus – lotus leaf wrapped lamb with lotus root, quinoa and it’s own juice. This was an interesting SE Asian inspired creation from Arzak’s SE. 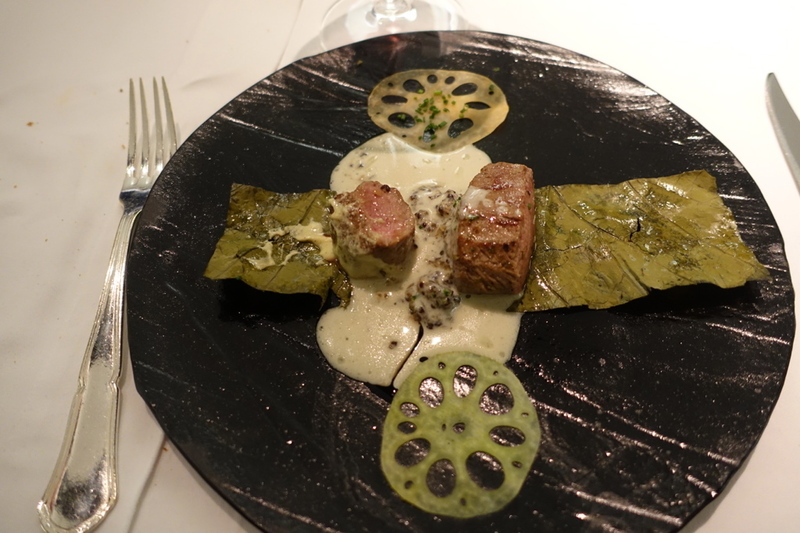 The sauce, rich with coconut cream, fragrant with kaffir complimented the lovely pink lamb. 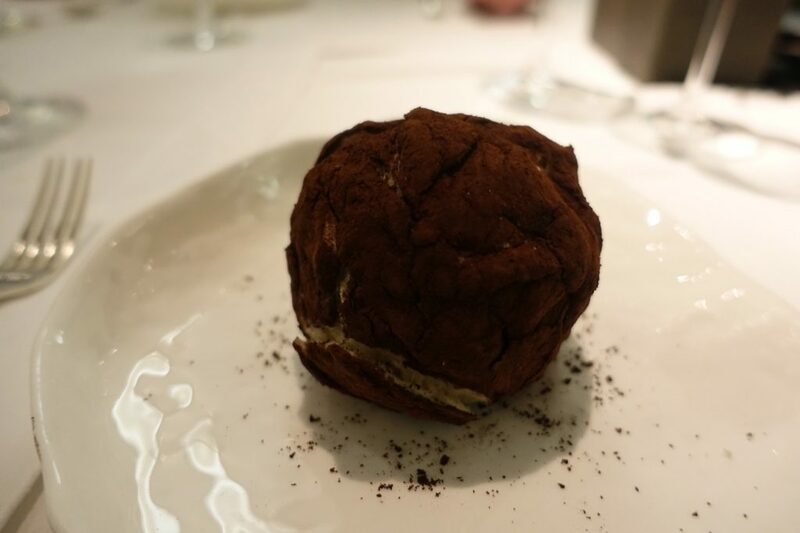 The Big Truffle – large cocoa and with creamy chocolate and carob filling. 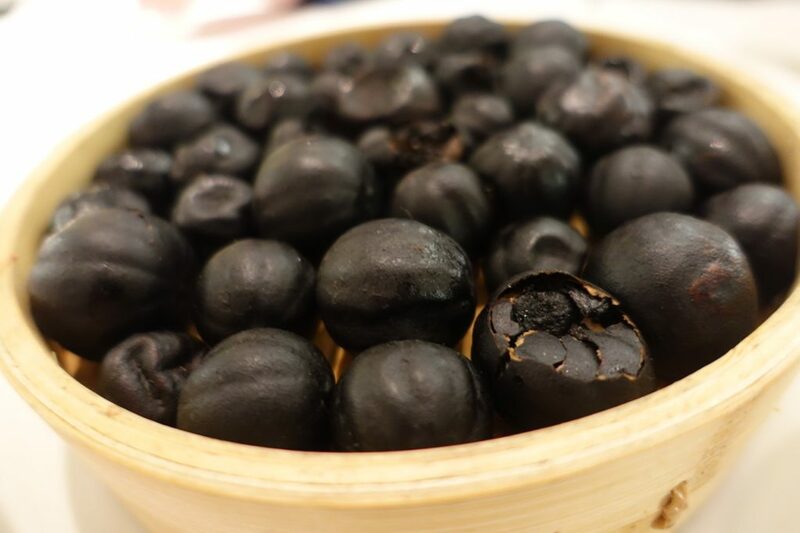 (Carob is the Med’s answer to cocoa, the super food alternative to chocolate apparently). 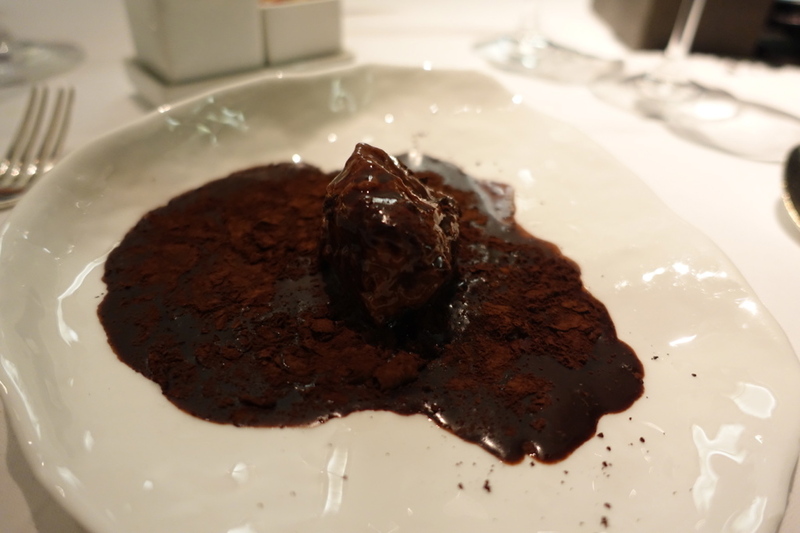 The fist sized cocoa covered candy-floss-faux-truffle was nothing short of magnificent especially with hot chocolate & Cointreau poured into it to reveal a rich chocolate and carob mousse. The word “rich” is an understatement! 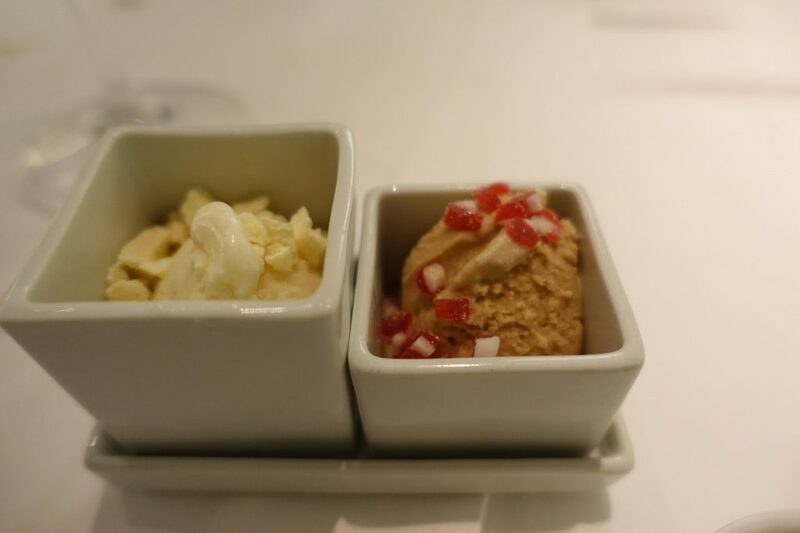 The second desert was a pineapple ice cream with dehydrated pineapple along with liquorice ice cream & liquorice sweets. Both were very likeable. 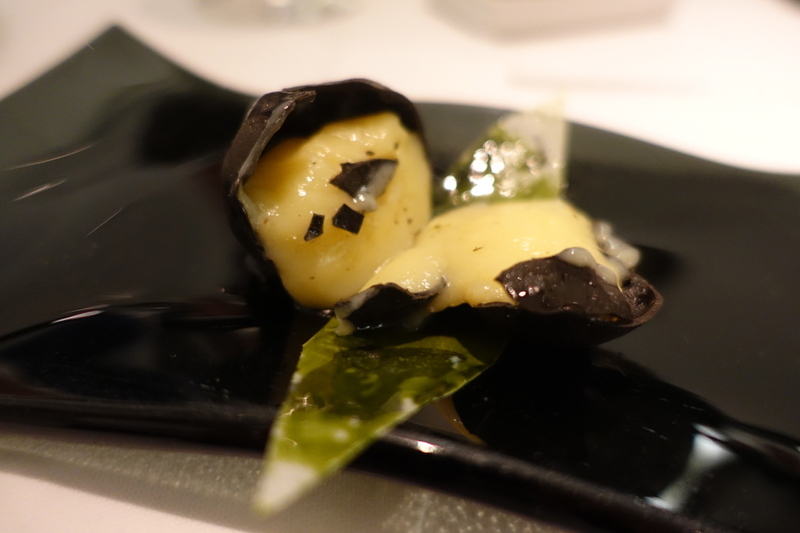 Black Lemon – a crispy black lemon chocolate with a sweet citrus cream interior was seriously impressive. 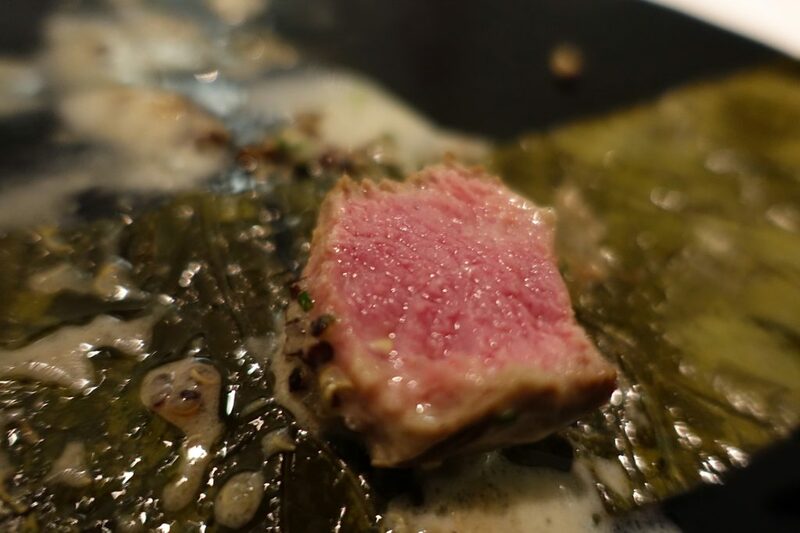 It was salivating stuff, oh and the clever lime green leaf made from the lemon too was the perfect garnish that packed some flavour too. 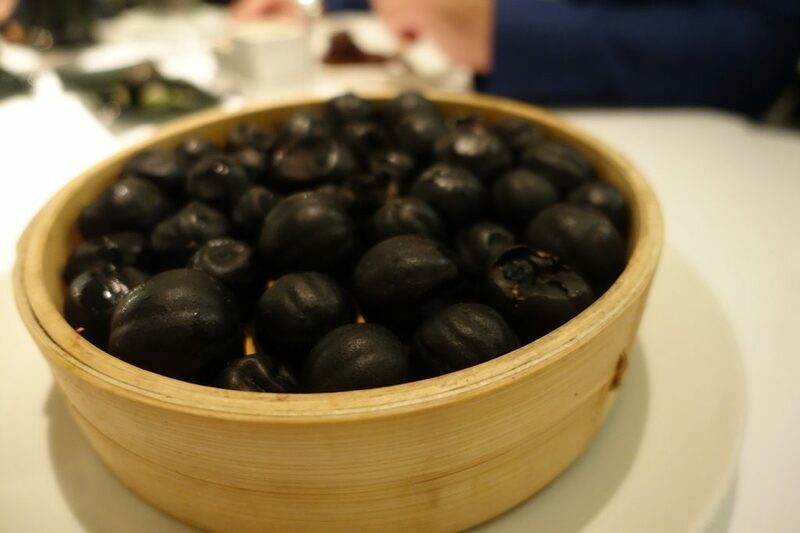 Black lemons were brought to the table too to enhance the experience. But don’t they look odd? 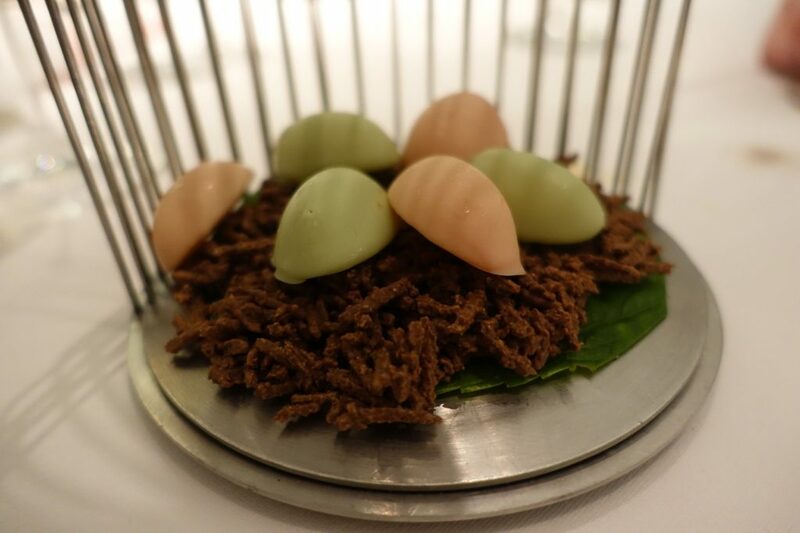 Finally we were brought petit fours served in a bird cage with a nest of faux chocolate shelled eggs with apple, mandarin along with orange & mint centres. The nest tasted like chocolate covered All Bran that I couldn’t stop eating until it was gone! 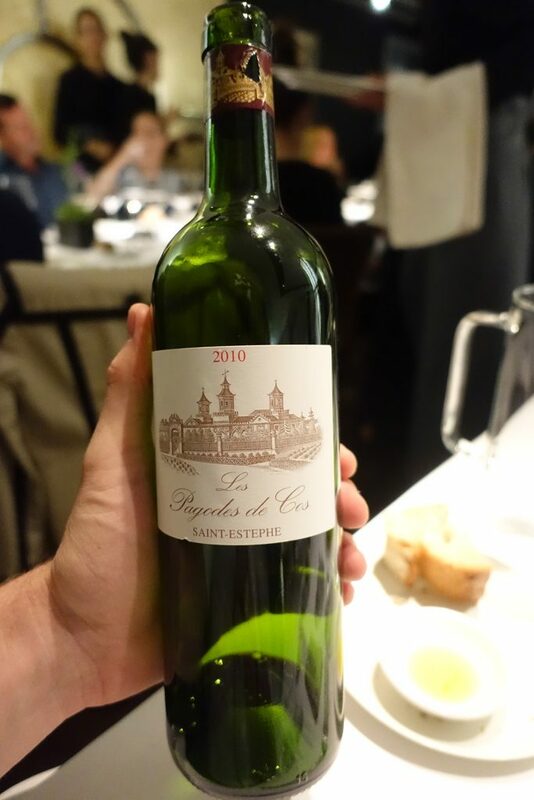 The good: The stunning deserts were the most memorable for me and that wine list is second the none. It was also great seeing Juan and daughter Elena mingling with diners after service. The bad: The experience was a tail of two halves here, the first being quite mediocre for a place with a 3 star platform. 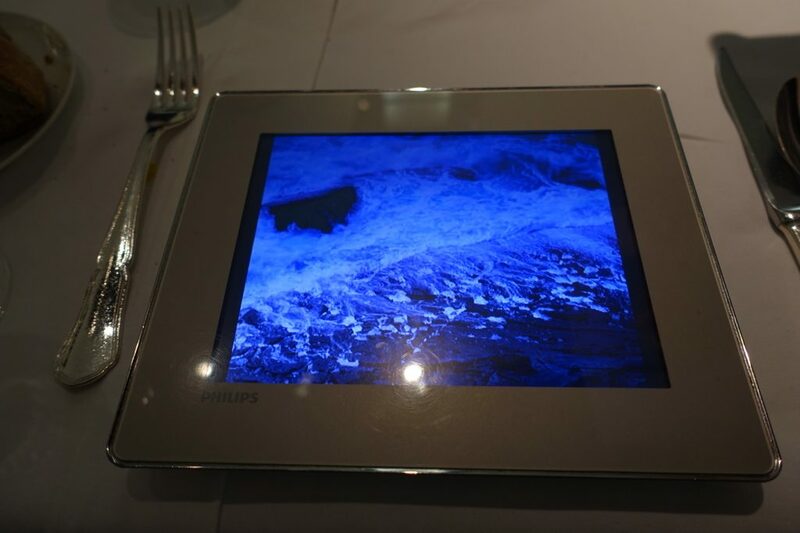 The meal only came on song when the deserts arrived, I don’t know about anyone else but at this level surely everything has to be pitch perfect and unforgettable. 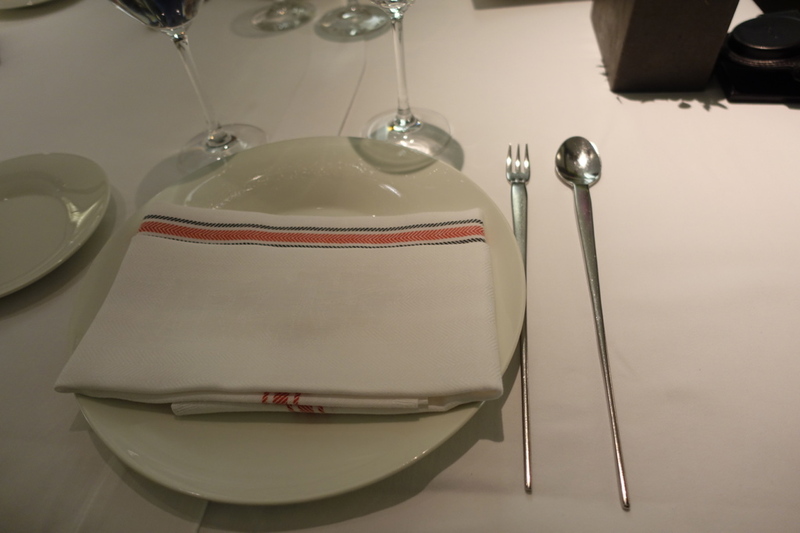 ← San Sebastian Pintxos tour – the food Gods’ are here!